select™ 4.2 - Even more possibilities! 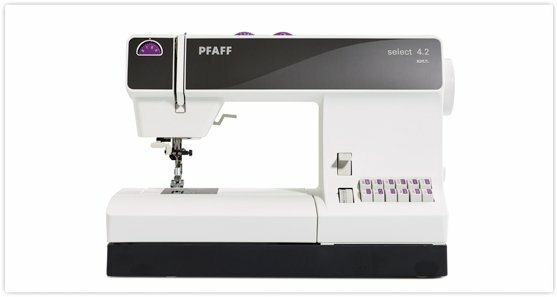 The select™ 4.2 will make your sewing even more fun and creative! 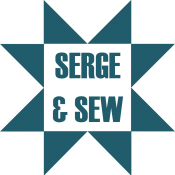 Choose from 40 different stitches, including a large variety of decorative stitches, for perfect results with any fabric. Threading the needle is so easy with the integrated needle threader, and PFAFF® Original IDT™ System guarantees absolutely even fabric feed from both the top and bottom. The Original IDT™ System, only from PFAFF®! ~ Integrated Dual Feed only from PFAFF® for over 40 years! A PFAFF® exclusive feature that delivers absolutely even and perfect fabric feed with all types of fabric from sheer organza to thick layers of denim. Easy select™ System ~ Quickly choose the stitch by a press of a button. You can even combine them for more variety. Integrated Needle Threader ~ Easy threading every time! No more searching for the needle‘s eye. The integrated needle threader is built right into your sewing machine and makes threading a easy. Constant Needle Piercing power ~ Gives stitch by stitch control and full piercing power at any speed. Sews through multiple layers of quilt fabric, batting and denim. LED Light ~ Long lasting light source that illuminates your sewing projects with a crisp light.